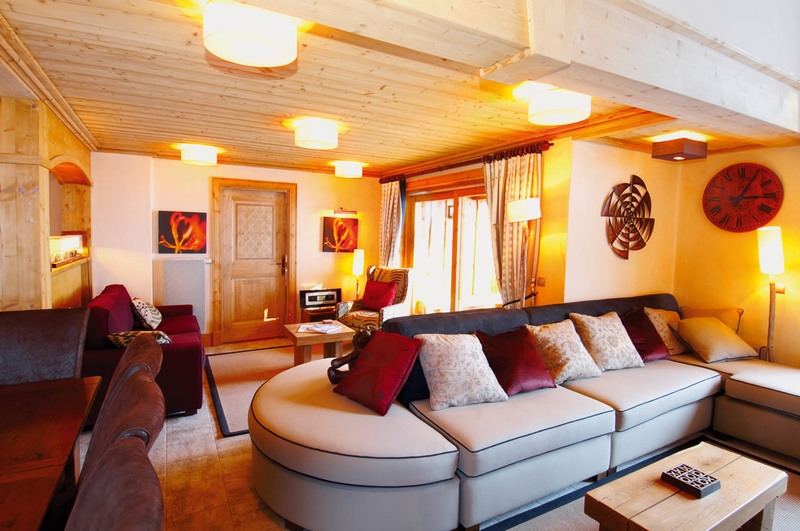 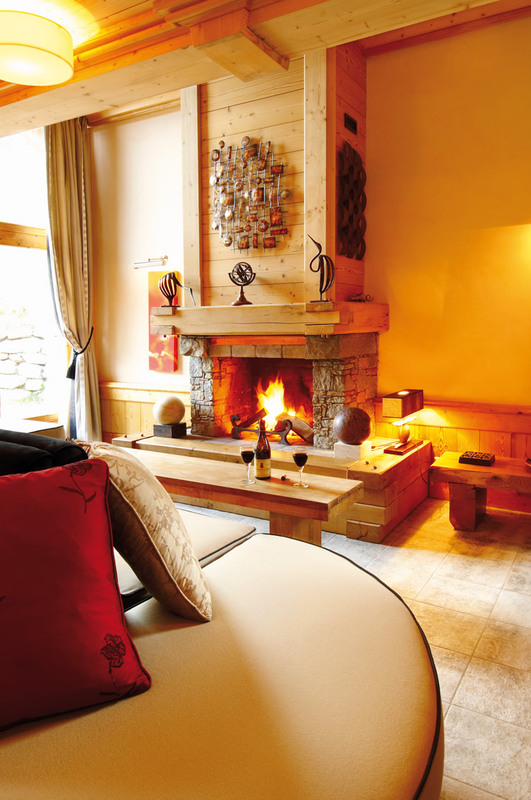 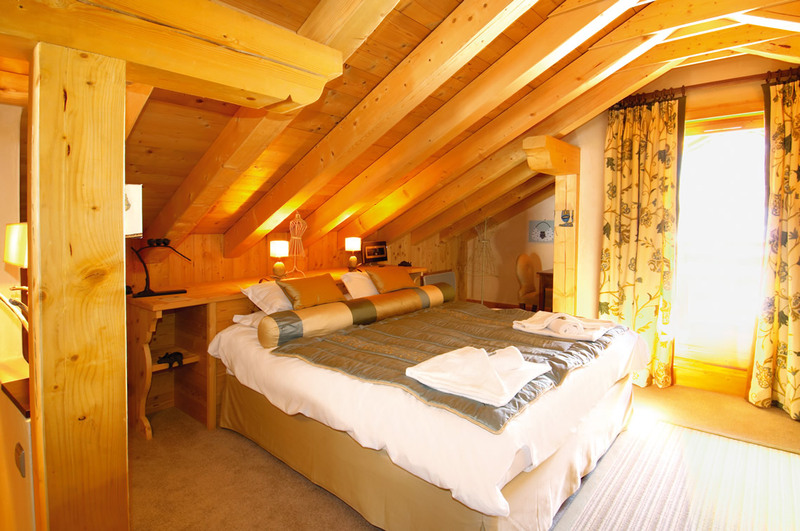 Taiga Lodge is a stunning chalet in Meribel. 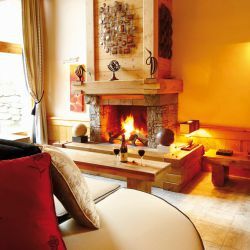 Some might say one of the finest in the Alps. 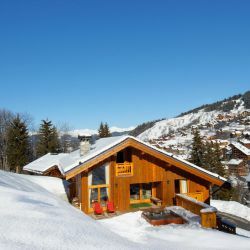 The chalet is located in the ‘Dou du Pont’ enclave, or ‘Mayfair of Meribel’. 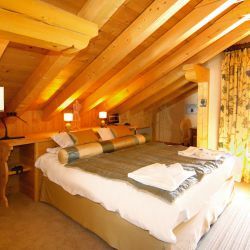 The timber architecture is classic and refined and each of the rooms has been individually and lavishly themed by the operator’s own interior designer. 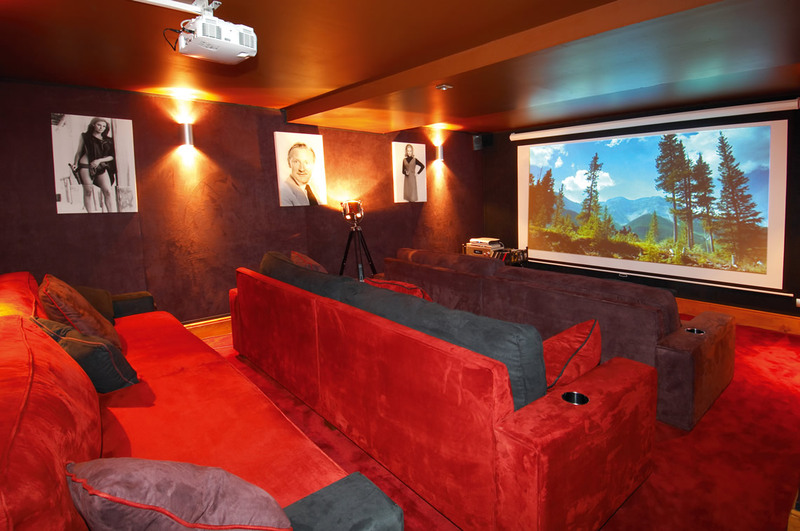 A splendid 10-person cinema with suede lined walls and huge squashy sofas provides state of the art entertainment. 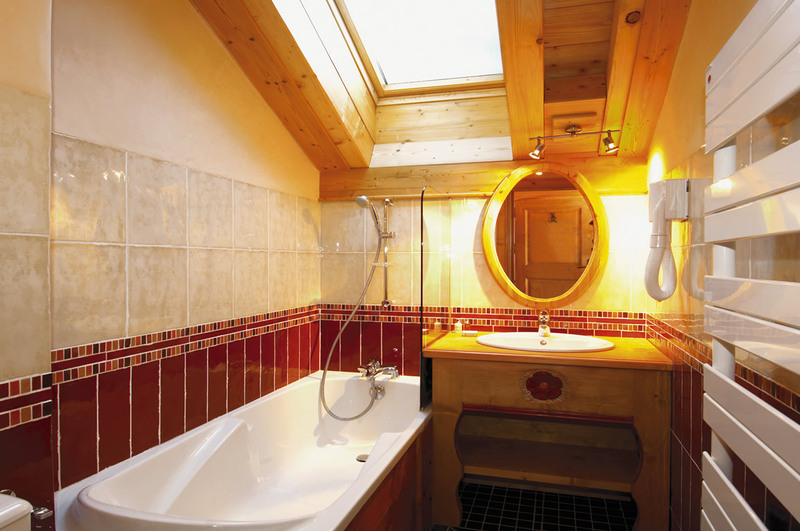 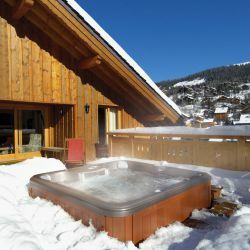 Several terraces make the most of the sun and there is an outdoor hot tub and sauna for a touch of apres-ski pampering. 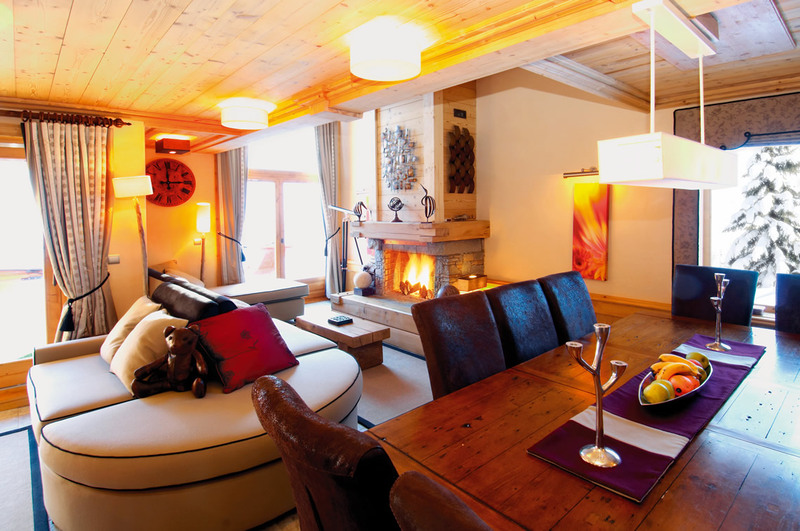 The town and piste are only a short walk away. 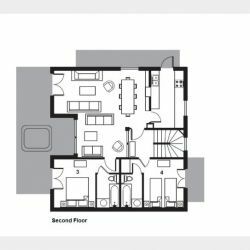 (First floor) - Twin bedroom with balcony, en suite bath, handbasin and WC. 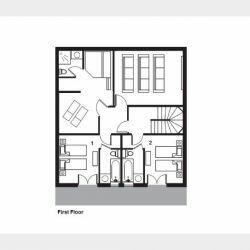 (Second floor) - Double bedroom with balcony, en suite bath, handbasin and WC. 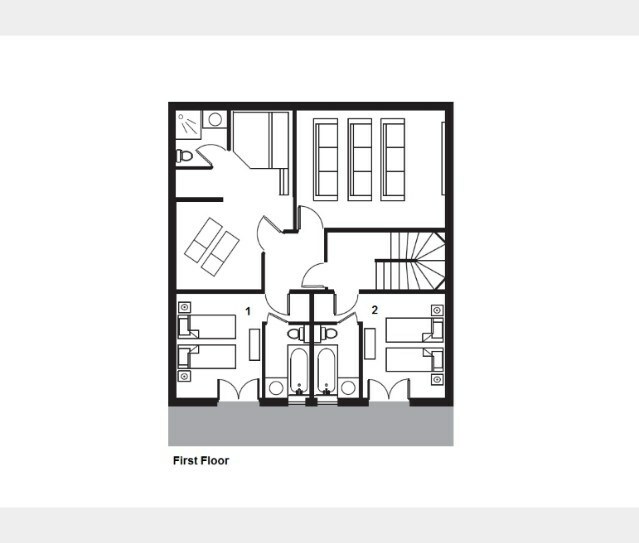 Limited space for a cot. 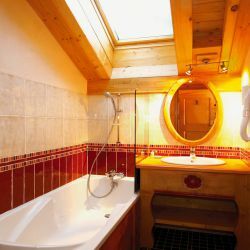 (Second floor) - Twin bedroom with balcony, en suite bath, handbasin and WC. Limited space for a cot. 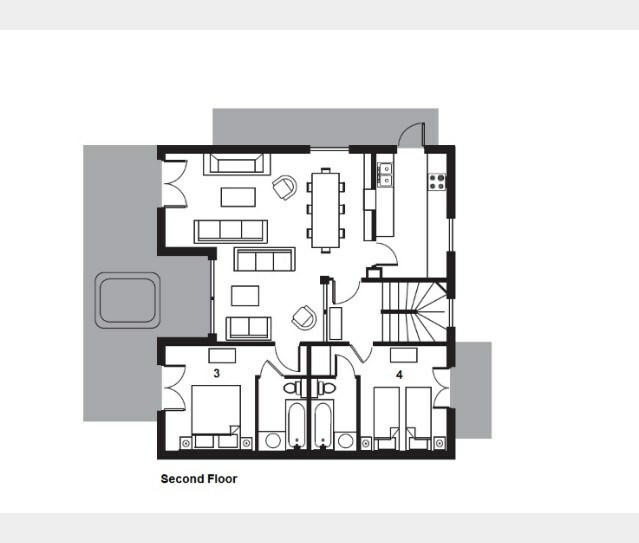 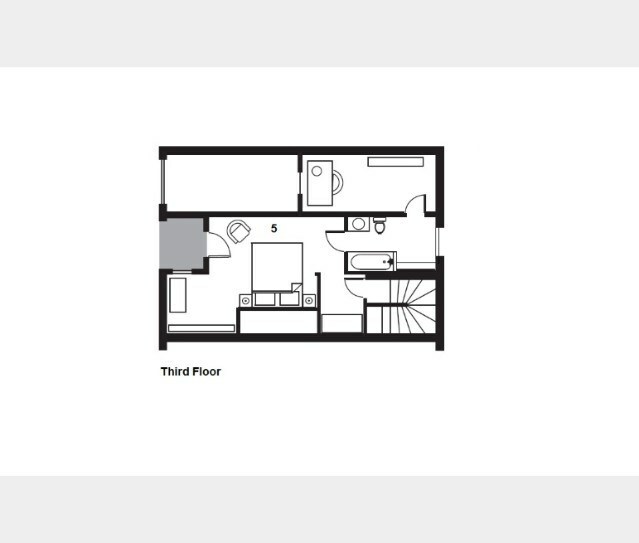 (Third floor) - Master double bedroom with balcony, en suite bath, handbasin and WC. 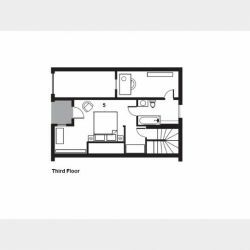 Limited space for an extra temporary bed or cot. 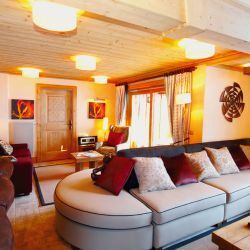 The Chalet Taiga Lodge overlooks Meribel. 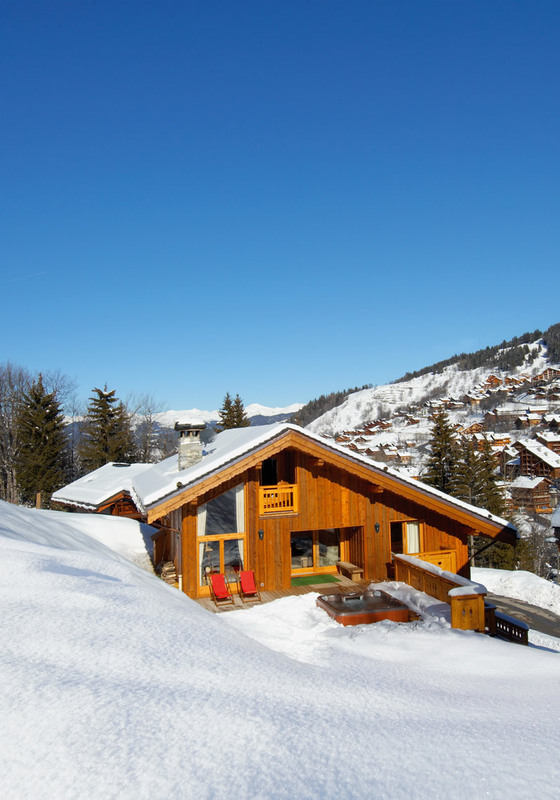 7 minute walk to Meribel centre. 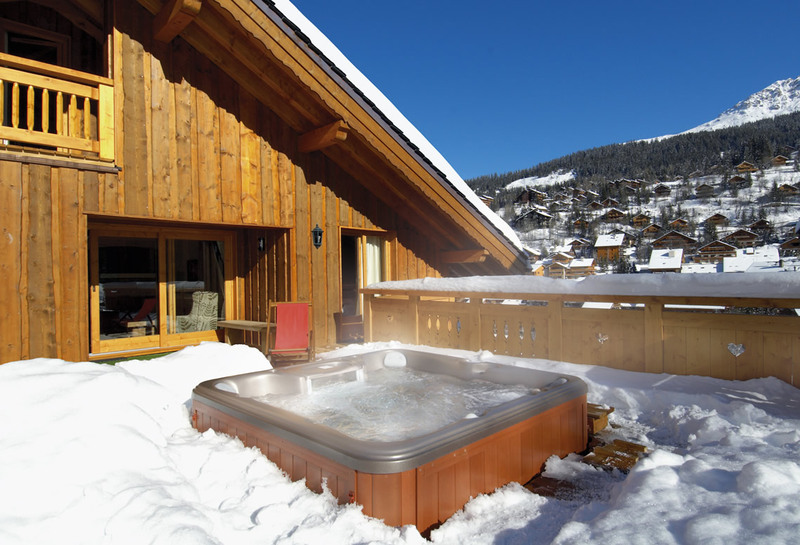 300m to the piste or 2 minutes by the chalet chauffeur service. 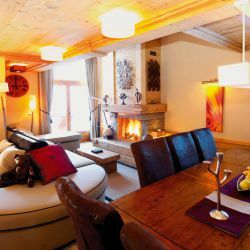 The chalet chef is passionate about food and hugely sensitive to the appetite of a hungry skier whilst considering a balanced diet.